Vancouver Foodie Tours treat guests to 3 hours of award-winning restaurants in the downtown core. From Vancouver’s best dim-sum to gourmet hors d’oeuvres, West Coast cuisine, macarons and world-class gelato. 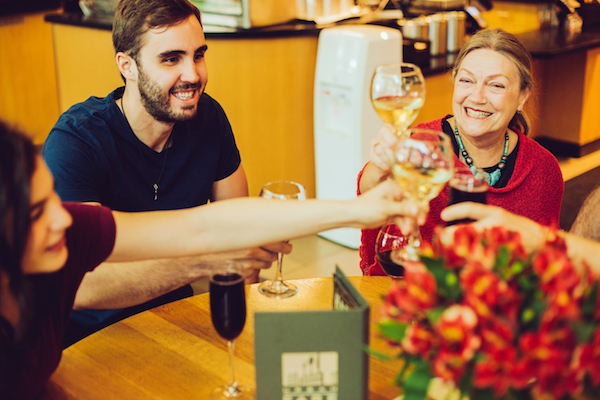 This guided tour gives guests the chance to try the best of Vancouver’s culinary scene while also learning more about Vancouver’s history and stories along the way. The annual dinner series from Edible Canada Bistro welcomes a respected guest chef into the famed Granville Island restaurant. 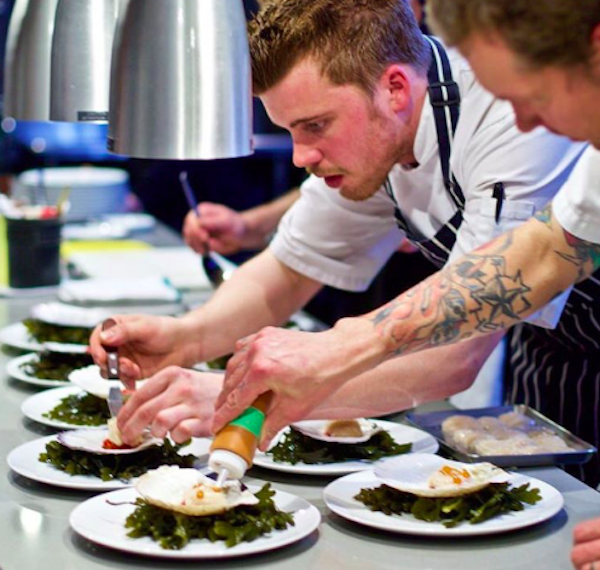 This year, the focus is on Canadian commodities and each dinner celebrates a different Canadian tradition or set of ingredients with the guest chefs sharing their passion and expertise. Educational and delicious! Tickets include a gourmet set menu with alcohol pairings. 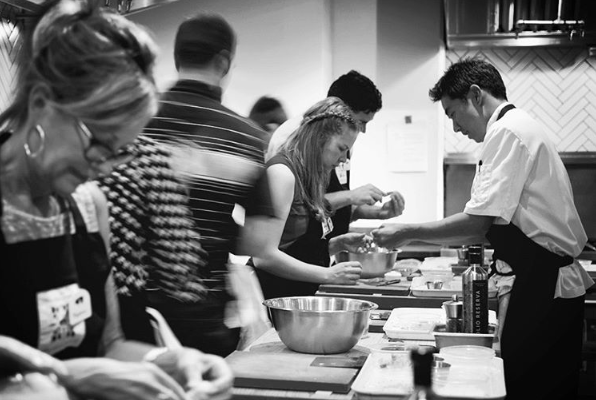 The Dirty Apron offers a multitude of cooking classes in it’s popular Gastown location. From brunch to appies, entrees and desserts, the wide variety of classes has something for everyone. Whether you want to master a cuisine or simply focus in on a skill-set, with nearly daily classes the Dirty Apron calendar has plenty to please the gourmet. Fine dining in Vancouver does not get any better than Hawksworth. 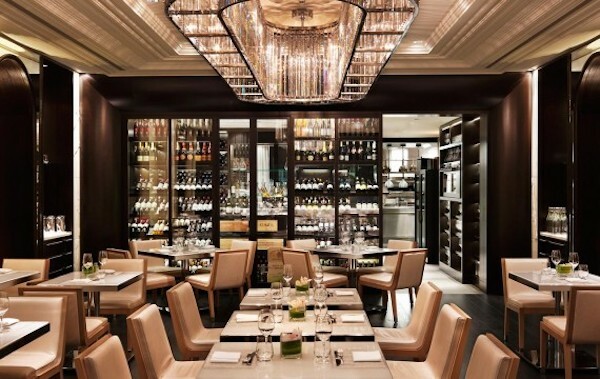 Currently ranked 6th in Canada’s 100 Best, Hawksworth have won countless awards for their contemporary Canadian cuisine and are a must for gourmet foodies. Washing it down with a Hotel Georgia cocktail is obligatory. Join Swallow Tail Tours on a 4 hour gourmet sailing tour. 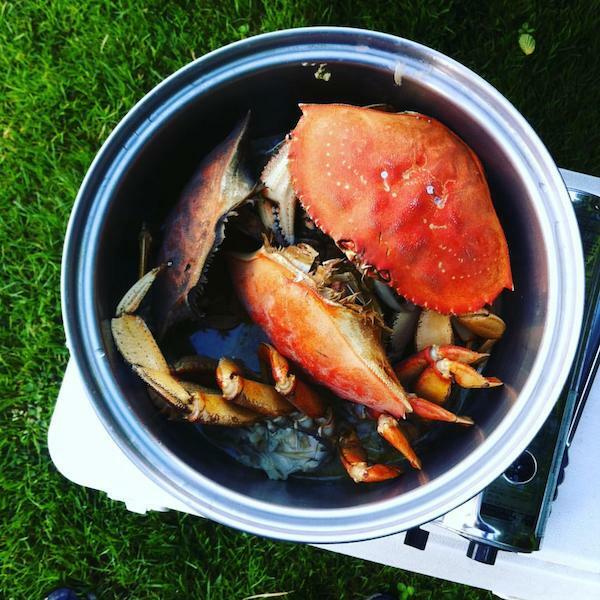 Guests catch their own West Coast Dungeness crab, learn how to prepare the crab and enjoy a 3 course meal prepared by a professional chef. 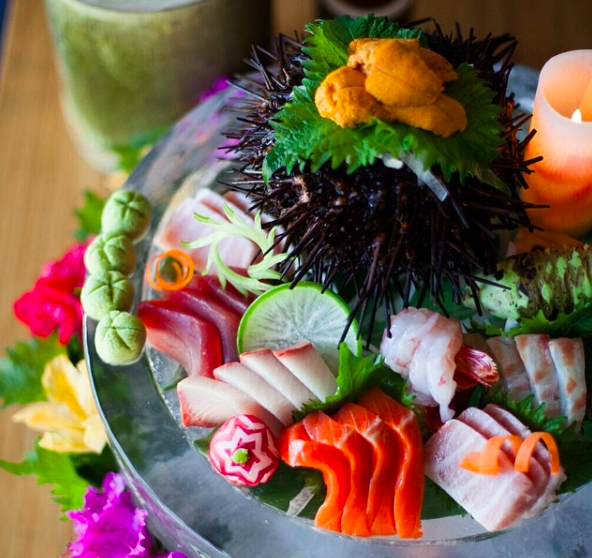 Experience West Coast dining with the freshest seafood caught and prepared before your eyes. Allow the chefs supreme, including Tojo himself, to prepare a customized tasting menu based on your likes and dislikes. Sit at the bar, engage with the chefs and watch them create amazing dishes all to your liking. Japanese cuisine in Vancouver has already set the bar high but a customized tasting menu really is something special for gourmets. An exclusive Chef’s Table experience from the team at L’Abattoir, one of Gastown’s finest restaurants. 8 VIP guests per month receive a one-of-a-kind experience in an intimate open kitchen. L’Abattoir chef, Lee Cooper prepares gourmet dishes in front of the exclusive guests – you’ll be drooling before the plate is even set before you. For a decadent treat, afternoon high tea really is a spoiling. Sandwiches, scones, hors d’oeuvres, sweets and of course tea, are served daily in the luxury Fairmont Hotel Vancouver. Bubbles are optional but it’d probably be rude not to! 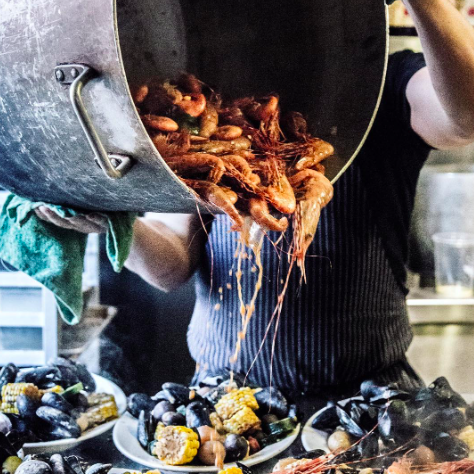 An annual summertime event, Boulevard Kitchen and Oyster Bar offer their Sunday Seafood Boil Series. 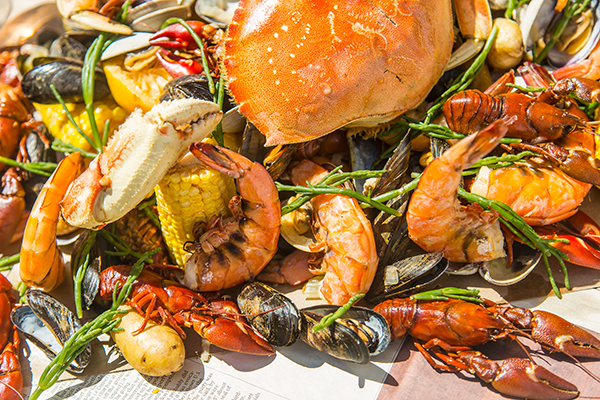 Diners enjoy the Boulevard patio with a fresh-caught seafood feast. Crawfish, clams, mussels, jumbo prawns, Dungeness crab are all piled high for gourmet guests to indulge. 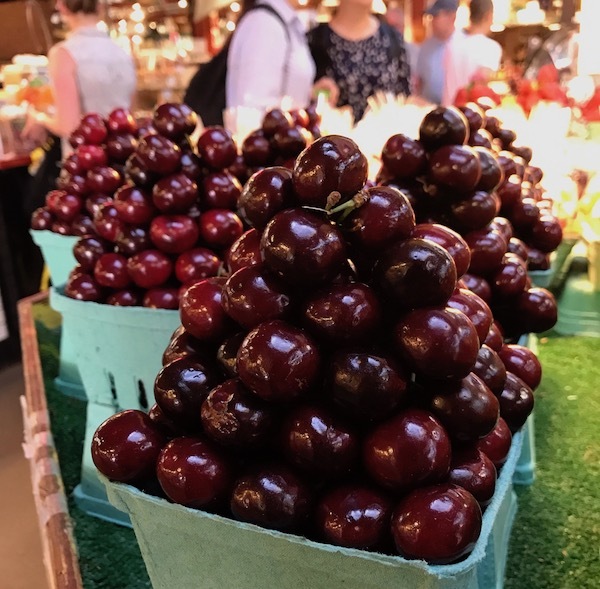 From artisan breads, cured meats, gourmet cheeses, fresh pastas, olives, fruits, vegetable, sweet treats – Granville Island’s public market is a foodie’s paradise. Exploring the 50+ vendors and crafting your own gourmet picnic is a Vancouver must!